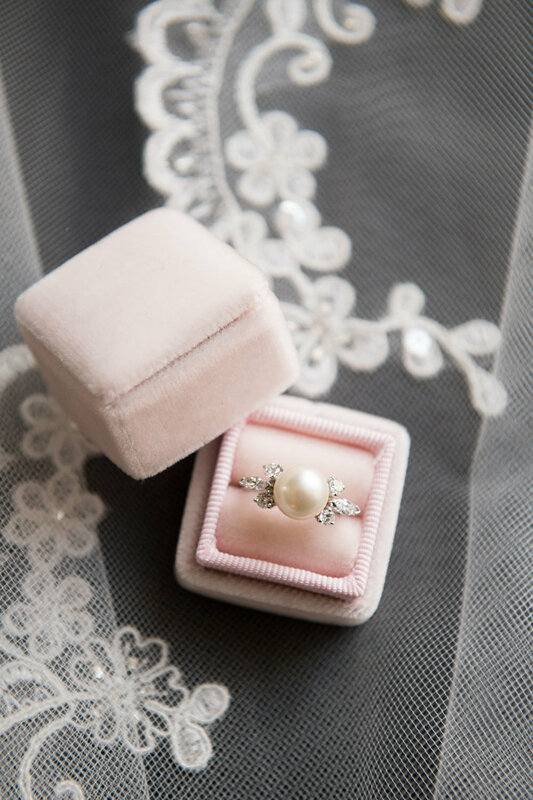 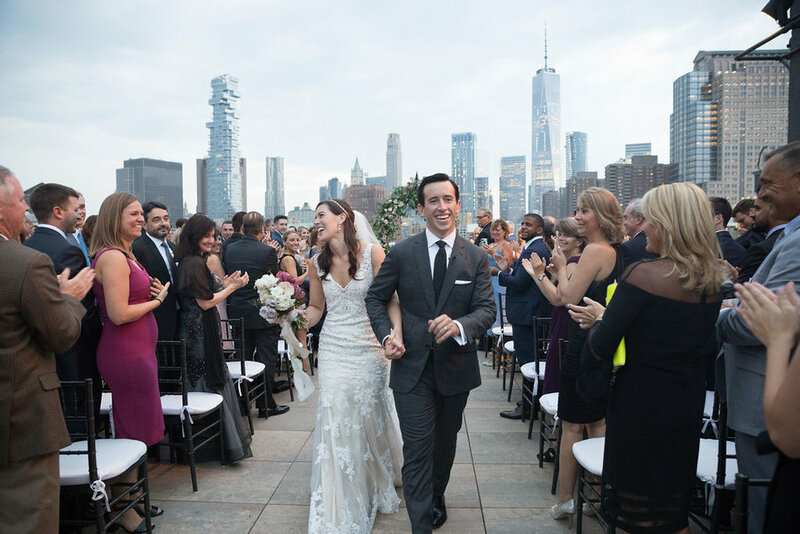 On a hot summer evening in August, Margi and Michael said “I do” overlooking lower Manhattan. 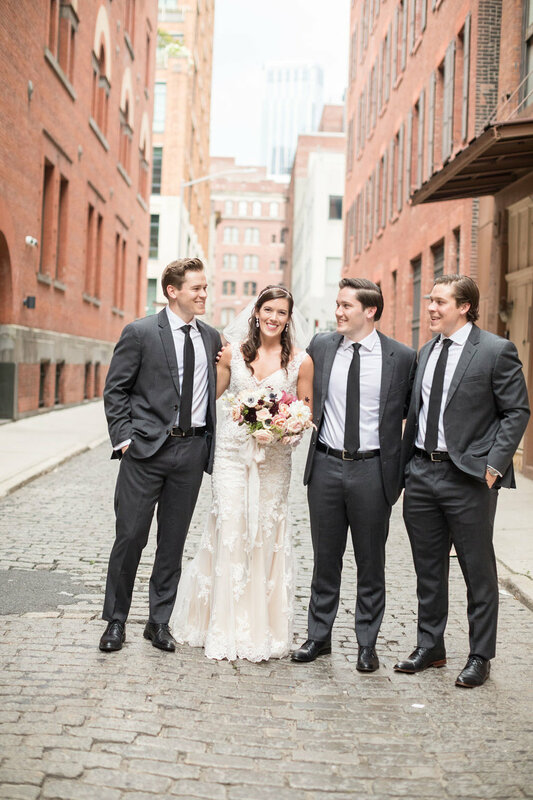 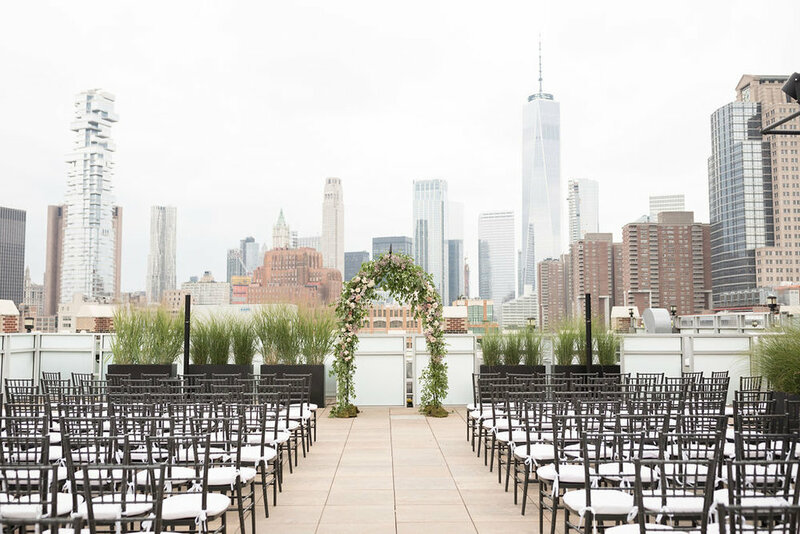 They chose Tribeca Rooftop for their venue and were married at dusk. 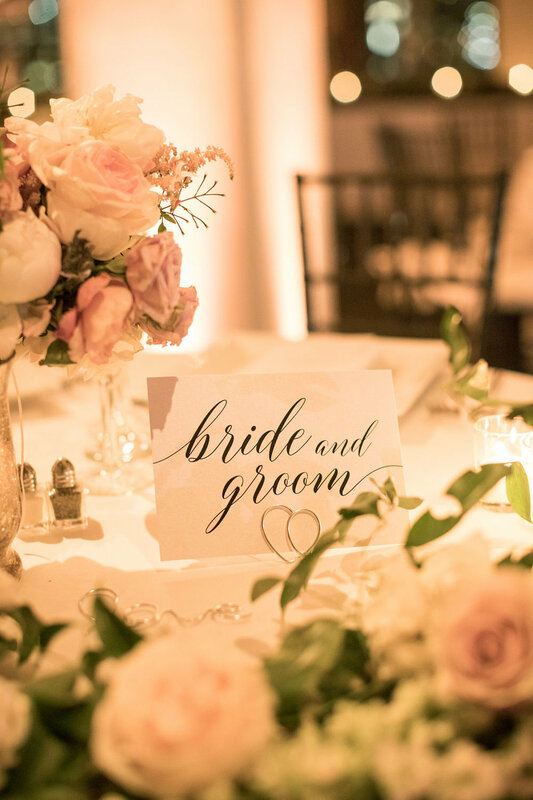 Margi, a city girl, wanted a romantic, warm, yet sophisticated wedding and went with a color palette of mauve, blush pink and a touch of merlot. 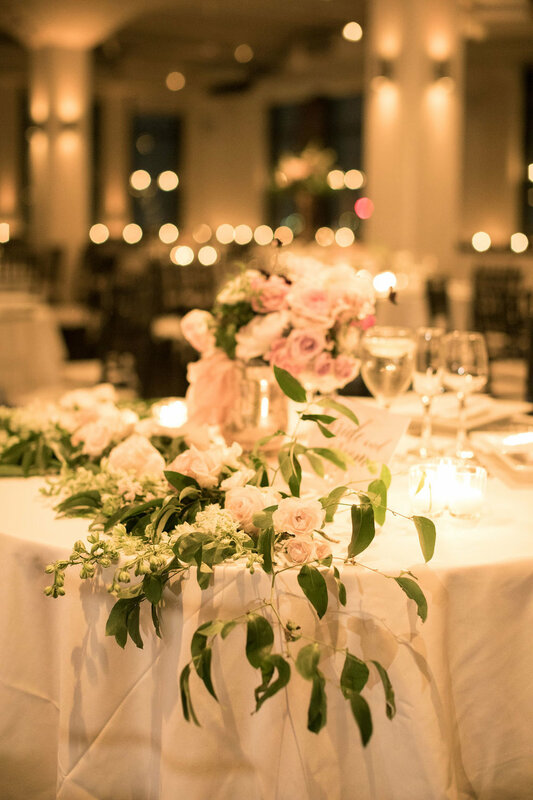 The romantic arch was the centerpiece for the ceremony made even more jaw dropping with the view. 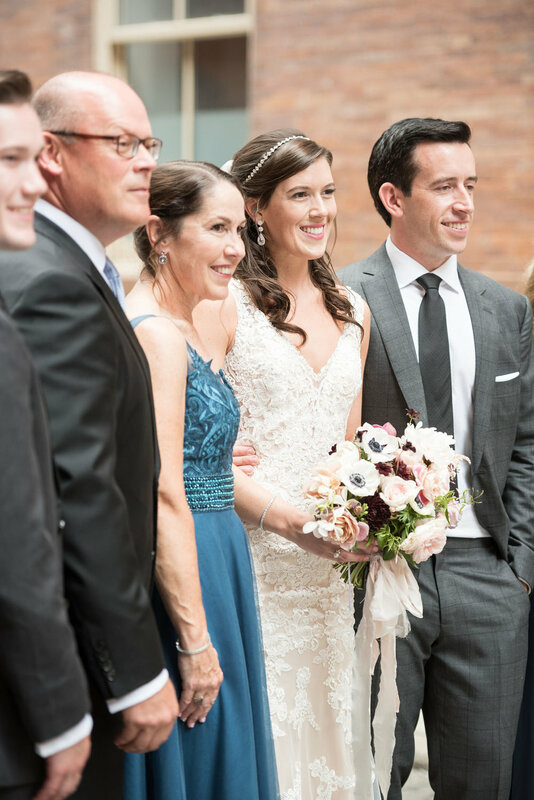 The reception followed the cocktail hour inside the soaring banquet space with a view to the stars. 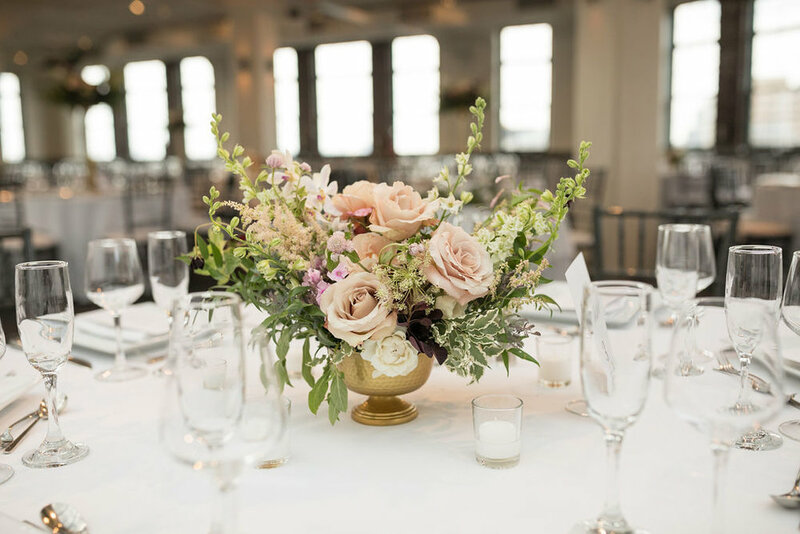 I created a mix of elevated centerpieces and compotes that complimented the height of the space. 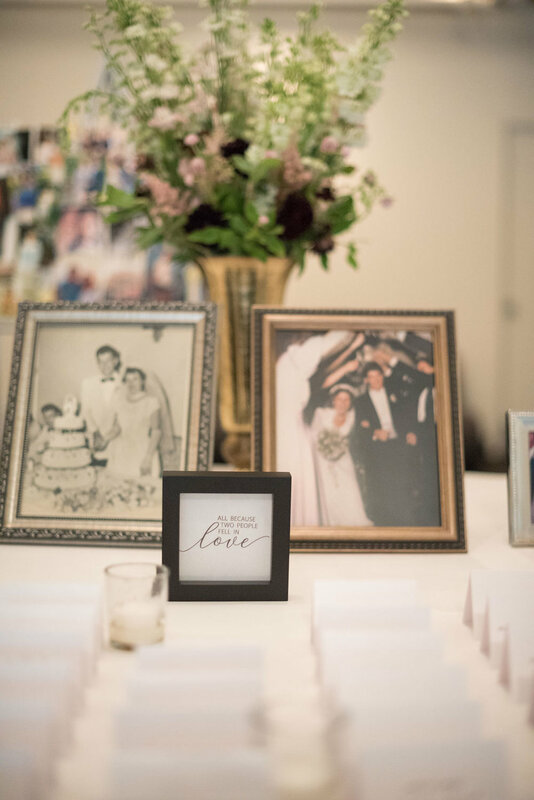 Margi incorporated many personal touches, like the embroidered handkerchief for a Dad and photographs to honor those family members that represented the cornerstones of both families.